I have a friend who will be leaving soon from Narita Airport. 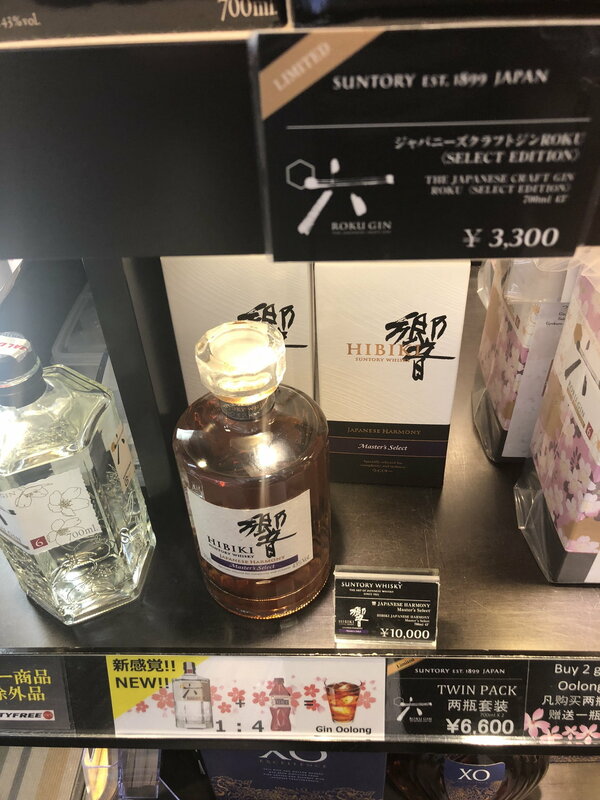 I was wondering for anyone who has recently departed from Narita Airport, was the Hibiki 21 available at duty free shops, if so are they the special edition bottles at 50,000 yen. I plan to have my friend purchase one for me if possible. Any response would be greatly appreciated. Thank you. They are currently sold out, and the employees probably get asked a few hundred times a day, so expect a rude response. I heard HND is stocked this week. It's always a lottery either way. 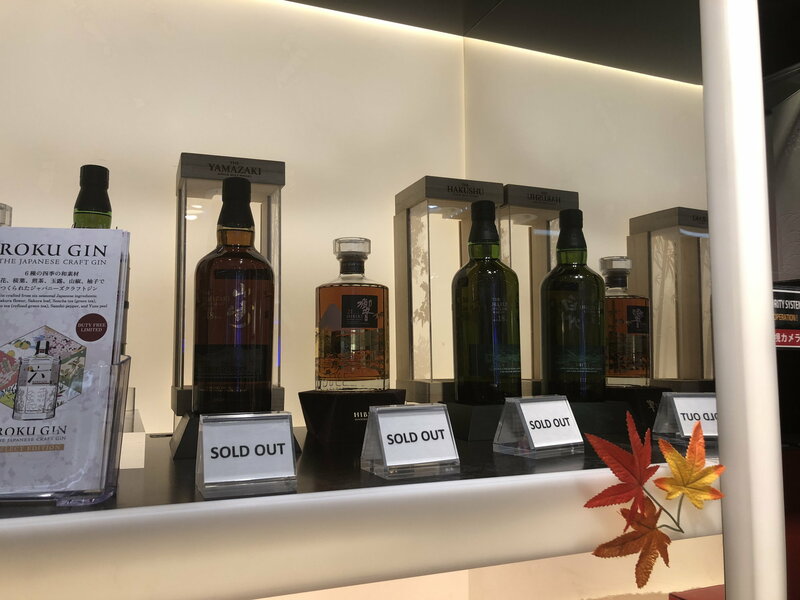 Browsed Ginza today and lucky enough to spot NFTB for 2400 so snapped one up to drink before I fly home (only saw it at one other place.... for 3980). Also Nikka 12 for 6000 which I know is not brilliant, but about as good as you'll find in the few places that still have it (I only saw it at one other for the same price). Back home on Wednesday so I'll try and check the airport for anything obvious if I'm awake. invalyd and alan0801 like this. Was lucky enough to pick up one of the Essence of Suntory Yamazaki Peated Malt direct from a bar manager this evening. Looking forward to giving it a trial run. still a decent price for the H21. you must not be looking that hard because Suntory whisky is more available than ever. it just depends how much you're willing to pay. Or the quality you're desiring.. pints of Suntory Kakubin are readily availably at just about any konbini. I would gladly bring back a liter of Kaku to make highballs at home if I weren't always so short on luggage space! 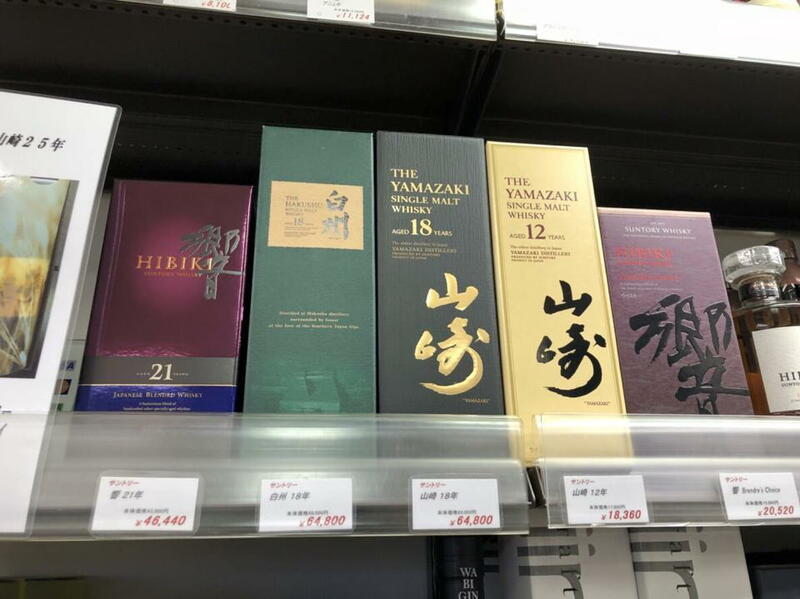 @james21_h Any idea of the price of the standard NAS Hibiki at the right of the photo? Unlike many of the other stuff, it's not imported into the US either. So that makes it rare, sort of.. I hear you on the luggage space. Duty free is usually a ripoff, but I can keep the tampersealed bottles in my carryon for my connecting flights in the US. I think it's around Y7,000. Not 100% sure!